Poppet broker her frog catching record last Thursday night / Friday morning. She managed to catch the same frog 3 times! Well done. Bloody things! To top it off April thought she heard another one later on in the night so woke me up to investigate only to find out that it was nothing more than her imagination. 'We' painted our living room on Sunday and I have to say it looks very good. Well done April. The paint pod helped tremendously as it's so easy to cover large areas of wall without having to re-load the roller. Thanks Kris! ... the spare bedroom, our bedroom, the en suite, the bathroom, the carpets, the kitchen, the windows... Will it ever end??? On the train on the way into work last week I saw a guy playing football manager on a laptop. The laptop looked relatively new but he was still playing an old version of the game (6 or 7 years old). Not only was he doing this but he was cheating! His team was Fulham and he had Totti, Ronaldinho plus a handful of other world stars of the era. No matter how good you are at FM (I am the best) there's no way you could attract those players to a team like Fulham. The funniest part of it however was that he was in 4th position in the table with a couple of games yet to play. I'm not saying that i've never cheated (the odd reload after a serious injury to a star player, or the fact that i've never lost in a final (reload, reload, reload, relo...), but to set up a totally fictitious team and still be crap, there's no excuse. I was talking to a colleague today about weddings and mentioned that I was going to Las Vegas for my brother's wedding in September. When telling people this, the usual reply is, are you dressing up as Elvis. We then got onto what is the plural of Elvis. A couple of weeks ago I was looking for a book to read for my train journeys into work and April passed me Stardust. As I started reading it I remembered seeing the the film. As with the film, the book's great. It's basically an adult fairy tale, with a fair bit of humour. I'm fairly sure the dweebs will have read it already, but I recommend it to everyone else. My bother Steve's got a stray cat that has been coming into his house for the past few years and has been eating his cats food. They don't seem to mind it and it doesn't seem to mind them now. Yesterday morning he (I think it's a he as it's pretty big) was in the living room when I went down stairs before leaving for work. He wasn't very happy to see me and started to make a racket before trying to jump through a closed window. Duuuugh. I opened the patio door and then shoed him out. He bolted away. April had a great idea to lock the outside of the cat flap similar (but opposite) to the above. It worked! He couldn't get in this morning. Poppet cat though, she's bright enough to open it with her paw. Biscuit was stuck out side. I let her in at 7:15 when my alarm went off and I could hear her headbutting the door. Poor thing. It didn't stop Blacky Whitey waking us up at half four though. It was screaming out side for us to let it in. Bloody thing! Bloody cats! Last weekend was great. It was two of our good friend's wedding's on Saturday. We drove down on Friday night to a lovely hotel in Surrey, in a village just outside of Woking, jeez there's a lot of money around! It took an 50 minutes to drive which was great but upon opening the boot we realised that we'd left my suit and April's dress back at the house! It wasn't a massive problem, it just meant me having to get up early on the Saturday so as to get back in time for the wedding. I was up early and made it back just in time for breakfast. The wedding itself was lighthearted and fun, luckily the weather held out so we actually managed to have the reception outside. All in all, a great day, although we're both still shattered! I'd definitely watch that film! The Wapping Project, a hydraulics power station renovated into an restaurant / art exhibition. I’d been there before with a friend but not to eat and was pleasantly surprised. Despite being the first people in that evening (6:30) the atmosphere was pretty cool. Far too trendy for the likes of me. The food and wine was great too. Then it was off to Troxy, another renovated building, this time a theatre, aren’t they all. The venue itself could hold well over 1,000 people and was pretty cool. We were in the second level of standing but managed to secure a place next to a central barrier so had a nice clean view and something to lean on. 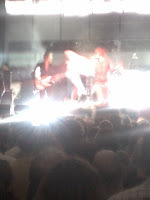 When we got there a band called the Horrors was on. Pretty poor noisy kids with more fashion sense than musical ability and talent. At a push I would say that one or maybe two of their songs were okay. Then came the main act. 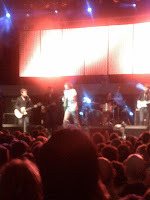 Jarvis Cocker. I have to say that I was never a massive fan of Pulp, I was more into heavy rock and metal in those days but he has written some very good songs. He played none of those last night, it was all new material, most off his new album. April’s made me listen to it a thousand times whilst driving so I know most of them now. Anyway, how good was he? Bloody brilliant! He’s got to be one of the best performers that I’ve ever seen. Is he up there with Bobby Davro I hear you cry? Yes, yes he most certainly is. His Napoleon Dynamite style dancing is a wondrous thing. Half mesmerising half hilarious. He’s got so much charisma, the lead from the Horrors needs to take note. Anyway, we eventually got back at around 12 and decided to foil the naughty intruder cat. We set the cat flap to out only. If our cats needed a wee in the middle of the night fine. But they wouldn’t be allowed back in till the morning. So far, so good. It worked. The cats must have bigger bladders than me as they were both still in the house this morning. We're off to see Jarvis Cocker tonight! We saw him twice last year, once performing at a comedy gig, and once in the West End buying a tamborine. I've got another wedding this weekend so have bought a nice new suit and a nice pair of shiny new shoes. Much to April's amusement, on the way down to the train this morning I nearly slid over three times. Until they're broken in leather soles are a death trap. On the plus side of getting a new pair of shoes, it means that i'll probably have a load of painful blisters by the weekend. This might not seem like a benefit to most people but it means i'll have an excuse not to dance at the wedding. There are far to many pictures of me dancing on facebook as it is. I was woken up again at 1 this morning! It's getting to be every night at the moment. It was the phantom cat again, we were woken up to a growling sound from Biscuit hiding under the bed so I went down to investigate. The cat flap flapped and the cat was gone. Something has to go on as I can't keep getting woken up, as it takes me so long to get back to sleep. In our bi weekly team meeting this afternoon we were told that one of the team had handed in their notice (one month). He's leaving to pursue his music career! Good on him, I wish I had something like that to quit for. I'm more concerned with the fact that i've started to dream about Remetrica (the financial modelling tool we use). I have a problem. I purchased another game last night, Brian Lara 2007 Cricket (or something like that). It took an age to download and update and when I clicked to start it up for the first time nothing happened. I uninstalled it, downloaded it again and still nothing happened. I'll have another go tonight, but if it doesn't work again i'm getting my money back, I'm certainly not wasting £5! I was once again rudely awoken last night. The cats were meowing like mad as there was another cat in the house. I didn’t see it but I heard the cat flap go as I was heading downstairs to inspect. I am now very tired! First we had mice, then Poppet brought in some frogs now Biscuit has gone and caught and killed a bird. April was not best pleased to put a fruit bowl on top of it so that I could dispose of it when I got in. What else will they bring in? Thankfully they can't bring in anything bigger than the cat flap. A guy I work with is due to take a sabbatical later this year. He's going to go travelling with his wife for 6 weeks which sounds pretty cool to me. Looking into it, it sounds even better, you can have up to six weeks off plus attach two weeks of holiday to total 8 weeks off from work. The best part of it however is that it’s on full pay! Only 3,696 days to go. I’ve done 7% though! I went out for a curry last night with my old friends from Gallagher. Good curry + good amount of cider / beer + good music + good fun = Poor Stu with a hangover. Bring on the beer festival! I mentioned last week that I’d been to a giant car boot sale where I bought Vietcong and Vietcong: First Alpha. They’re bloody good games. I’ve played them before as my brother has them but £2 is a bargain and I snapped them up. Graphically it didn’t match other similar games at the time and certainly doesn’t now especially with games that are released on a console but I think they really mastered the feel of the genre and surely that’s the most important thing. The missions are varied and well done with a little bit of humour thrown in for good measure. It’ll run well on most PCs so feel free to borrow it after I’ve had my fun. I went to a jazz night in Wimbledon on Tuesday night. It was a treat for myself and April from Jenny and Steve, but in truth it was a treat for all of us. The night was held in a restaurant in a very nice part of Wimbledon ‘Village’, and was £50 a head, not including booze, I paid that part 3 or 4 bottles of wine and a bottle of champagne. We must have been the youngest group in there and the food wasn’t great but it was still good fun. 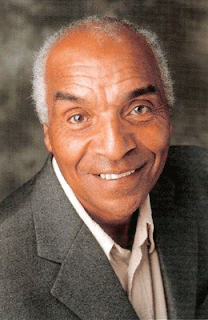 The main performer was Kenny Lynch, I can remember him from years ago and was very good, quite Sinatra like. The band was good and so too was the small set of a singer / saxophonist (not at the same time, although it would be a good skill for Britain’s Got Talent’s next series). 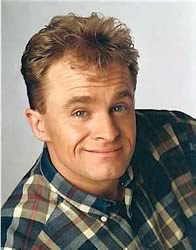 The highlight of the evening was the appearance of Bobby Davro! We’d joked about him earlier in the evening as apparently he’s good friends with Kenny Lynch and they were on tour together in the past but not in our wildest dreams did we think that he’d be there too. He ended up doing a 5 minute stand up which included a few impressions and then he did a couple of songs with Kenny. My service has been pretty good recently, mostly on time or just a couple of minutes late. This morning it was 28 minutes late. Boo! I'm not too annoyed as it means about half an hour less of work to do today but it's the principle. I can't even claim back for part of my rail fare. I can only claim if they miss their targets for the whole year. They set their targets ridiculously low so i've no chance. One good thing about the journey is that I experimented with my starting position. For the past year I’ve been getting on at the very back of the train, to begin with this was an excellent way to always get a seat. But more and more over the year people have been using my strategy. May 2008: 5 people waiting for the train at my stop with 20 spare seats. May 2009: 20+ people waiting for the train with 20 spare seats. I usually get there a few minutes early so standing is never usually a problem but there’s always one tw@t that pushes in and causes hassle for everyone else. I can’t be arsed with it as being in a mood is the last thing I need before heading into London. My new spot has the additional benefit of being closer to the ticket barriers at Cannon Street (2mins) so I can actually take my time in the morning on my walk to the office rather than frog march. 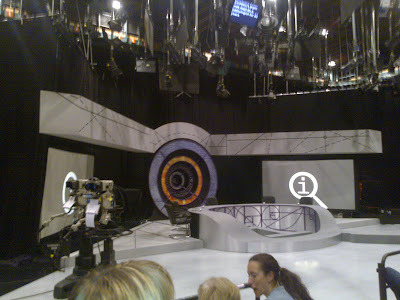 We went to see QI get recorded last night. It was excellent. Stephen Fry was very funny so too were the guests (David Mitchell, Dara O'Brien and Graham Norton) and Alan Davis. I had to work till about 6 (last minute work for our head office in Japan), but luckily April managed to get to the studios on South bank at around 5:45. By the time I arrived 45 mins later the queue was huge. I know they over prescribe to these sorts of things but this looked ridiculous. The show didn’t start till 6:30 and went on till 9:30 and it did begin to drag somewhat before the end but we both had a great time. Not bad for a free night out eh? This weekend I will mostly be brewing cider! One day, two e-mails, two concerts. The Magic Numbers, Bruce Springsteen and Neil Young Hard Rock? How about Metallica, Nine Inch Nails and Machine Head? I was about to leave for work today but I spotted another frog at the bottom of our stairs. I could have left it but April wouldn't have been able to go to work as she hates the things. Although funny, shed have killed me when I got back home from work. For those that are coming to this years bbq, BEWARE! I was woken up at 3am by screaming YET again this morning. Poppet had caught another (same?) frog. Is this what it's like to have babies? Last night’s show was pretty good. However I felt Bill Bailey was pretty poor, none of his material really worked and it had a disjointed feel. But seeing as they were all doing it for charity I think it’s a bit harsh to complain. The other acts weren’t bad, Nini Conti (Monkey Ventriloquist), Bollo and Jason Manford (Poor man’s Peter Kay), but I’d seen the his act before. The highlight was Tim Minchin, a very funny man indeed. Even if he is Australian (Sorry April). You can really tell how massively intelligent he is, he stood out a long way from the others. A highlight within a highlight would be his first song called Prejudice which was about racism, and the use of the N word. He mixed the letters around and replaced it with the word ginger. I think the comedy gods were smiling on me yesterday, as all the evening free papers had the MTV awards incident involving M&M (Eminem) and Sacha Baron Cohen. I haven’t seen the movie yet but will catch it on youtube when I get in tonight. Despite being a short week I was quite tired by the end of Friday afternoon, there was no rest for the wicked though. We’d been invited to see April’s old band play an acoustic set over in Mayfair. It turned out to be a very enjoyable evening indeed. On Saturday we had a quick clean as my Dad and his wife were coming round for lunch, we only had to do the downstairs as they were not staying the night. We ended up going to a pub called the Spotted Dog, we’d tried going a few times before but it was either too busy or they were refurbishing the place. The food was good, if a little pricey. I think the Bottle House is better. After that we went for a walk around Penshurt Place, it’s more of a huge stately home / castle than a ‘place’. For £7 each we were allowed to walk around it’s gardens. Having seen such lovely gardens, it inspired my Dad and Ann to volunteer with our gardening when we got back. Ha, ha! Suckers! There are now 12 bin bags full of garden waste waiting to get collected today. We hadn’t really done much on it since last summer and it was almost as bad as when we first moved in. It looks much better now, thanks Dad. We didn’t do much else on Saturday as we were both pretty tired, but we did go to the local Majestic wine sellers. I bought two crates of nice beer / cider and 12 bottles of decent wine. I wonder how long they will last. Yesterday we were up early, we went to a huge car boot sale, where I bought Vietcong and Vietcong Alpha, she wanted £10 but with my superior haggling skills I reduced her to tears (on the inside) or £2. We also bought a book, some salad spoons, an outdoor candle thing and some plants. 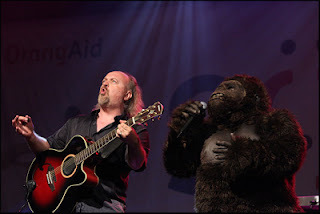 Tonight we're of to a Bill Bailey Orang-utan charity evening, we went last year and had a great time. Basically it's a bunch of comedians trying out their new material but it's for a good cause so happy to pay. Wednesday i'm playing touch rugby again. Thursday we're off to see an episode of QI get recorded.